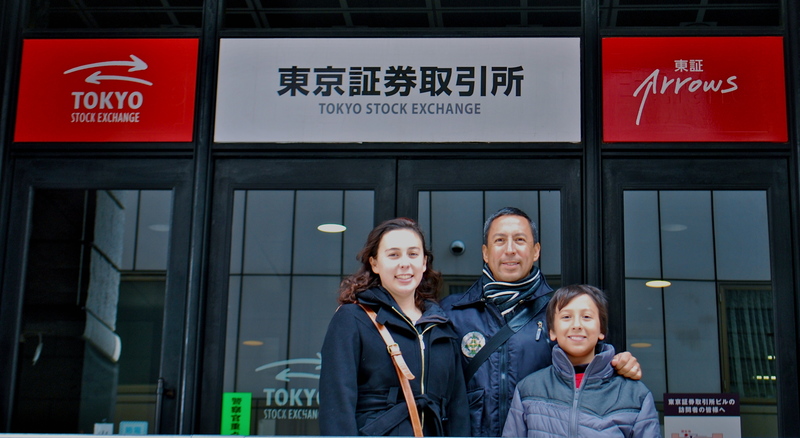 We are walking distance from the Tokyo Stock Exchange (TSE) and I thought it would be a great learning experience for all of us to go check it out. I know you’re probably thinking (sarcastically), ‘wow sounds like loads of fun’. Well I’m happy to report that it was a great visit. The TSE provides a free 1.5 hour English guided tour so we signed up. It ended up being the four of us on the tour and one woman from England. The lady that gave us the tour has been with the TSE for over 40 years and will retire in September. She was very young for her age and provided us with a great tour. 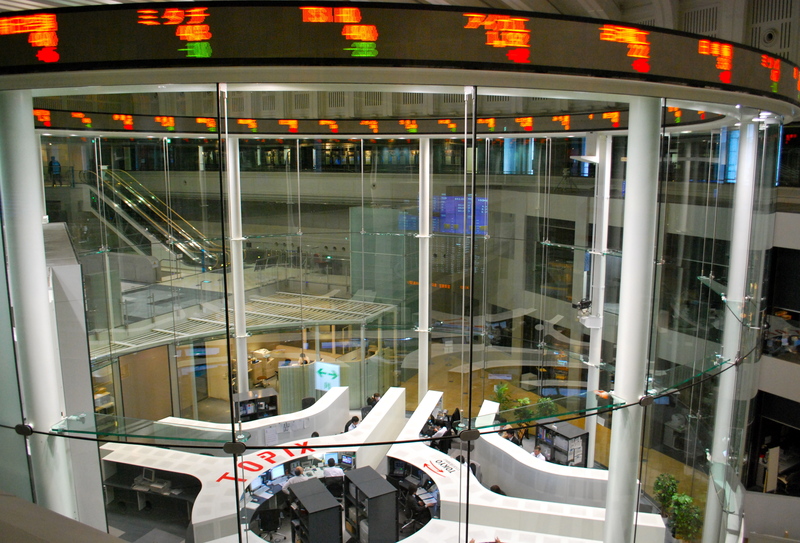 It started with a 25 minute video presentation that outlines the details of how a stock exchange works, the beginning of the TSE even before it was officially established on May 15,1878, to today where there are no longer any traders on the floor and it has been computerized since 1974. 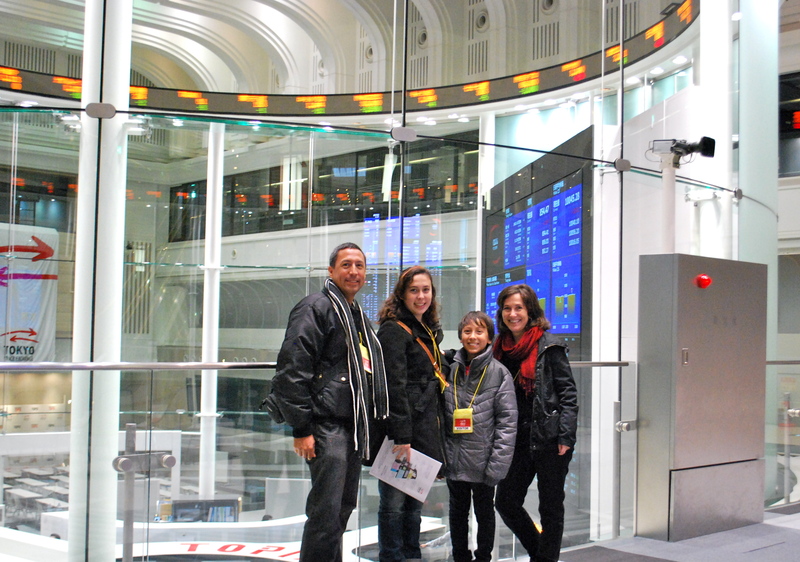 We were fortunate to not only learn but to actually see how this stock exchange works. What stood out for all of us was how large the US market is in comparison to all other countries. The NYSE has a market cap of over $14 trillion, the next largest stock exchange has a market cap of about $3-4 trillion. When you combine the NYSE and the NASDAQ, the US (even though it’s been declining over the years) still holds over 30% of the worlds market cap. This was a great learning experience, well worth the visit!